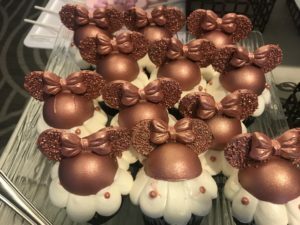 One of the best things about Disney is there is something for everyone. Many people wonder “What age is the best age to take my kid to Disney?” Everyone can enjoy a vacation at Walt Disney World. Some people say “I am too old for all of that” or “Our toddler won’t remember it, so we are going to wait.” or “My teenager has outgrown Disney World”. I am telling you now, those people are wrong. My son went on his first trip to Walt Disney World in Florida when he was 18 months old. Does he remember it? No. Did he have fun? You better believe it. He was so excited at every turn, at every character Meet and Greet, every ride, and every meal. To watch him have that much fun and giggle that much, well it is one of the best joys of parenthood. As parents, we made the best memories. We have the pictures. My now twelve year old loves to look at them and ask about his first trip. A toddler will have the biggest grin when meeting Mickey Mouse. They will clap when riding The Many Adventures of Winnie the Pooh. 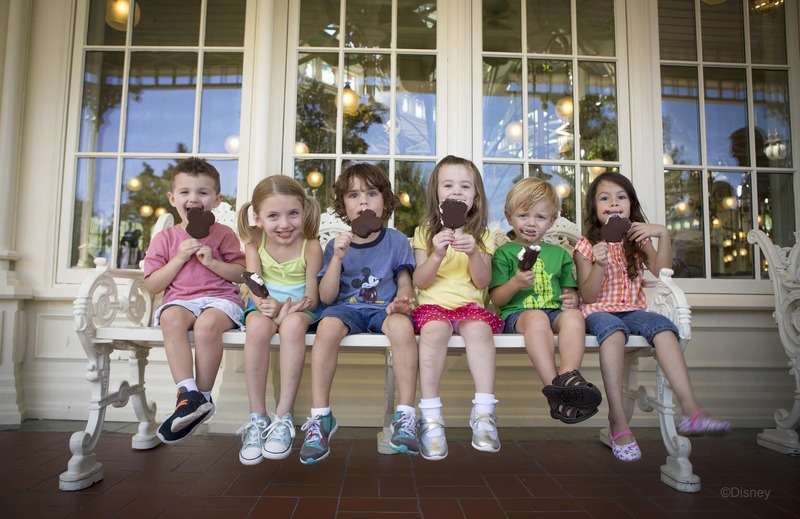 They will squeal with delight when handed a Mickey Mouse ice cream bar. Some parents with younger kids worry about not being able to ride the roller coasters. Disney thought about that and have a rider switch process to take care of that. One parent or caregiver rides the ride first, while the other one hangs out with the little one(s). As soon as the “rider” gets off the ride, they swap. The second parent goes to the Fastpass line, instead of the normal line. There is no waiting twice or missing out. It is a great time to get the little one(s) a snack or take them to the restroom or even to take a nap. Nothing reminds a teenager that they are still young more than Disney. Remember back when she had a tea party with Belle from Beauty and the Beast every day or when he watched Toy Story EVERY day for months and slept in his Woody cowboy costume. When at Disney, they will put that phone down (after they take a selfie) when walking into Be Our Guest at Magic Kingdom for lunch or walking into Toy Story Land at Hollywood Studios. They will take those earbuds out when they start singing Hi Ho with the Seven Dwarfs. Another upside to having a teenage with you- they can ride all of the roller coasters. Tower of Terror, Space Mountain, Expedition Everest and Rock ‘n’ Roller Coaster will get their attention over and over. For all of the kids in between a toddler and a teenager, there is everything! From the all-time favorite Peter Pan ride to the parades to meeting Cinderella to Star Wars (and more Star Wars) to ‘UP! A Great Bird Adventure’ there is something to do every moment of their trip. Everyone will have the “best age” idea for their kids. There are advantages to take a kid at each stage in their childhood. As parents though, every age can be the perfect age for you. Again, you get those great memories, great pictures, and those great bonding moments that are special for that age. I was hesitant to take my grandchildren when they were around 6-8 months old, but I am so glad that we did. It was actually much easier than I imagined. You push them around in the stroller and they are mostly smiles the entire trip and can nap when they are tired. The stroller parking at the rides is so easy too. They love to look back at pictures of themselves there at that age. Of course we continue to go every chance we get to the most magical place on earth!